The Babolat pure drive racquet is one of the most popular racquets you will find across the globe. It has been the source for the transformation of the tennis game as we know it. It was designed after the analysis of players and how they made contact with the tennis ball during game play. It was this analysis that caused them to design a racket with the sweet spot moved closer to the rackets tip. Play testers saw this change in design as a good move forward and so the updated design was a success. The Pure Drive Racket from Babolat is one of the easiest rackets you will be able to find to use. It provides you with more power than your typical racket while maintaining its ease of use. 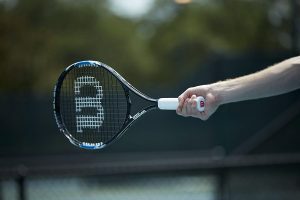 With Frame String Interaction (FSI) technology and a drill pattern that has been redesigned the spring is a lot denser in top of the racket which provides more drive and more power for really driving a hard ball into your opponent’s corner. Along with the new found power is also new found control which both helps you to play a better game, your best game. This racket is a great option and is a pure joy to use right from the baseline. The new version of the racket has a new design with a sweet spot being higher up on the racket. This is where you hit the ball the most and as such it makes the racket a lot more effective. The racket offers great spin, great control and great power due to the way it has being designed. With a higher sweet spot on the hoop of the tennis racket you can have a better game and play at your best as the racket helps you to play your best game. It is also designed to be effective around the net giving you a solid and crisp feel when doing point and shoot and even when making a deep volley. With Frame String Interaction technology you will find that the strings on the racket are sturdy ensuing not only a great drive but also ensuring the durability of the racket over time and with frequent use even. The Babolat pure drive features a new design and is a bit better than the older model. It is a great pick if you are looking for a newer and more powerful tennis racket that will provide you with better maneuverability along with more crispness and ease of use. It is a great step up if you want to take it gradually as it doesn’t provide a big difference from the previous pure drive model. If you have used a pure drive before you will find that there is not too much of a learning curve even though the sweet spot is in a different position. You will find the pure drive to offer more control during your gameplay than your typical tennis racket. This will help to improve your confidence and overall help you to play a better game. You will find the string bed to have a more predictable feel and the pure drive is a lot more forgiving than the AeroPro drive but with a little less feeling when it comes to crispness. The Pure Drive compares closely with the Wilson Juice and also the Volkl Super G 8. The Juice from Wilson is a bit livelier than the pure drive but they both have the same amounts of access to spin, crispness and maneuverability. It still compares very well with the older pure drive as well, providing just a little additional power but your top end speed will be just about the same. If you have used the older pure drive you will be able to transition into this new design quite easily. The updated pure drive provides stability and great access to spin along with better maneuverability and at a standard length. There is also an extended length frame if you are interested in a longer racket for your needs. 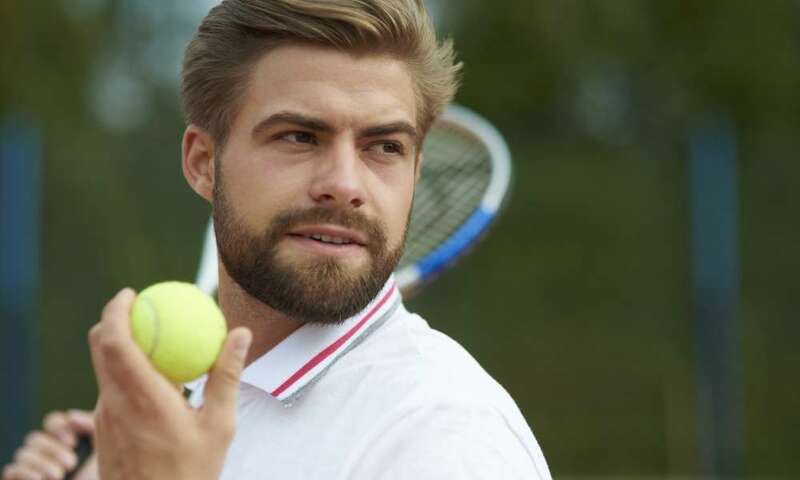 The new and updated Pure Drive from Babolat is a great option if you are already into tennis and looking to upgrade to something that will offer an even more powerful drive. It is designed differently from your typical racket with the sweet spot being higher up. This position changes was based on assessments done by the company on how players strike the ball. This change in position of the sweet spot as really positively affected the output of your gameplay.